In a city so filled with icons of antiquity and the Christian faith, it’s hard to know where to go first. Of course, your own interests will govern your choices, but there are certain sites that are almost obligatory landmarks of Italy and of all Europe, such as the Colosseum and the Pantheon. A word of caution: try to vary your experiences as you explore Rome, so that you don’t visit too many ancient sites or churches in a row. And intersperse these more serious attractions with a few that are simply tourist icons – the Spanish Steps and that place all tourists must go to toss in their coin, the Trevi Fountain. Rome is so big that it can overwhelm, so even the most devoted sightseer should take some time to kick back and enjoy la dolce vita in a park or sidewalk café. Beside the Colosseum stands the almost equally familiar Arch of Constantine, a triumphal arch erected by the Senate to honor the emperor as “liberator of the city and bringer of peace” after his victory in the battle of the Milvian Bridge in 312. Lines are long and move slowly, so you can save time by joining the Skip the Line: Ancient Rome and Colosseum Half-Day Walking Tour and have a knowledgeable guide, as well. The Vatican is the smallest independent state in the world, with an area of less than half a square kilometer, most of it enclosed by the Vatican walls. 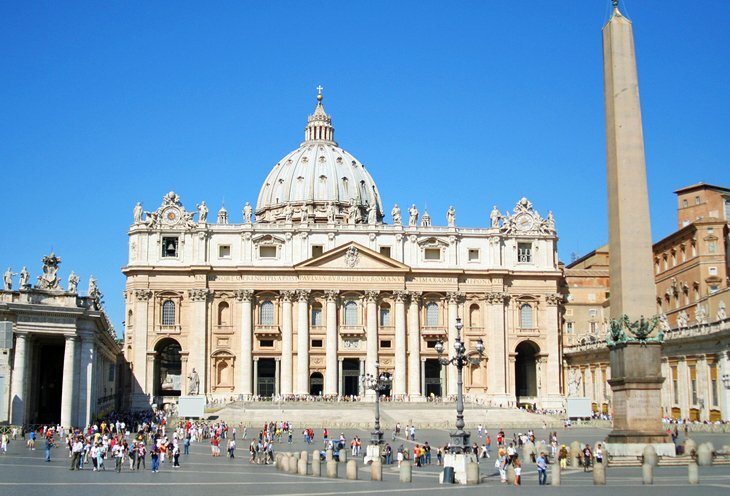 Inside are the Vatican palace and gardens, St. Peter’s Basilica, and St. Peter’s Square, an area ruled by the Pope, supreme head of the Roman Catholic Church. This compact space offers much for tourists to see, between its museums and the great basilica itself. 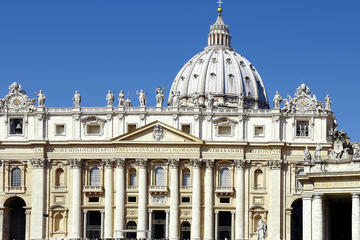 Inside St. Peter’s Basilica is Michelangelo’s masterpiece, Pieta, along with statuary and altars by Bernini and others. The unquestioned highlight of the Vatican museums is the Sistine Chapel, whose magnificent frescoed ceiling is Michelangelo’s most famous work. Inside the Vatican Palace are the Raphael Rooms, the Borgia Apartments, the Vatican Library, and a number of museums that include the Picture Gallery, Museum of Secular Art, Etruscan Museum, and others. The collections you can see in these cover everything from papal coaches to 20th-century art reflecting religious themes. Ticket lines for the Vatican’s top attractions are incredibly long, and you can spend several hours waiting in line. To save time, purchase a Skip the Line: Vatican Museums with St. Peter’s, Sistine Chapel, and Small-Group Upgrade tour in advance. This three-hour tour allows you to bypass the long lines and walk straight into the museums with a knowledgeable guide. Headsets are provided, and you can choose from several different departure times or upgrade to an evening or small-group tour. 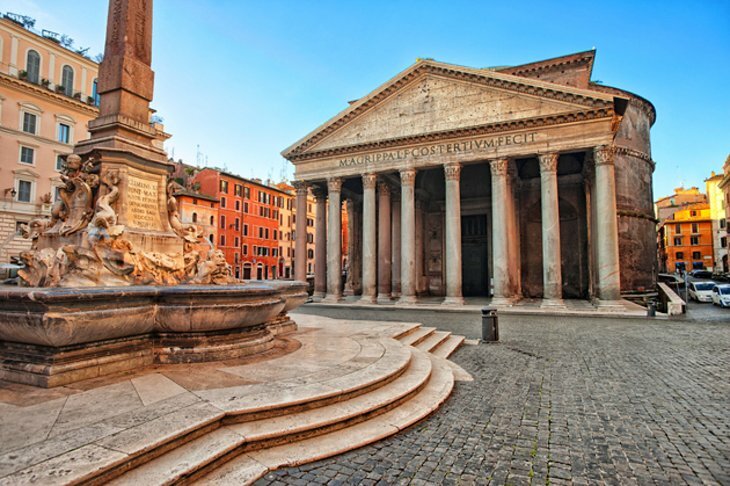 The Pantheon – the best preserved monument of Roman antiquity – is remarkably intact for its 2000 years. This is despite the fact that Pope Gregory III removed the gilded bronze roof tiles, and Pope Urban VIII ordered its bronze roof stripped and melted down to cast the canopy over the altar in St. Peter’s and cannons for Castel Sant’Angelo. The Pantheon was rebuilt after damage by fire in AD 80, and the resulting brickwork shows the extraordinarily high technical mastery of Roman builders. Its 43-meter dome, the supreme achievement of Roman interior architecture, hangs suspended without visible supports – these are well hidden inside the walls – and its nine-meter central opening is the building’s only light source. The harmonious effect of the interior is a result of its proportions: the height is the same as the diameter. Although the first Christian emperors forbade using this pagan temple for worship, in 609 Pope Boniface IV dedicated it to the Virgin and all the Christian martyrs, and since then, it has become the burial place of Italian kings (Victor Emmanuel II is in the second niche on the right) and other famous Italians, including the painter Raphael. One of the city’s most popular tourist attractions, this 17th-century masterpiece has been immortalized in films until it is almost a required visit. Throwing a coin (not three) into the Trevi Fountain (Fontana di Trevi) is a tradition that is supposed to assure your return to Rome. 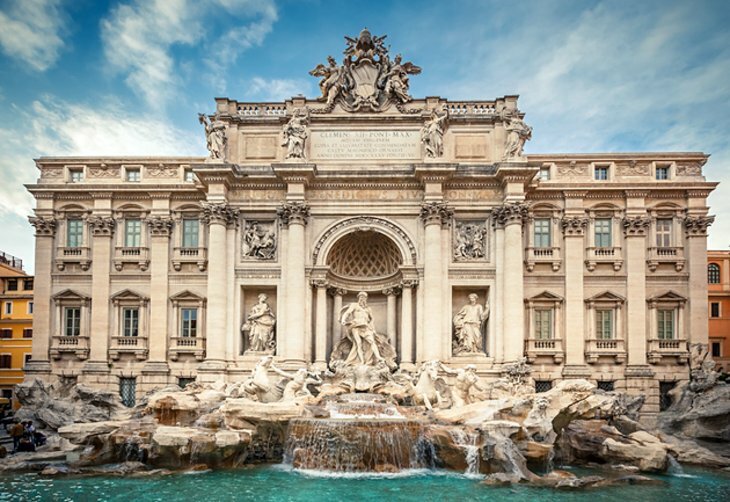 Rome’s largest fountain, Fontana di Trevi is supplied by an aqueduct originally constructed by Agrippa, the great art patron of the first century BC, to bring water to his baths. The fountain was created for Pope Clement XII between 1732 and 1751 by Nicolò Salvi, and built against the rear wall of the palace of the Dukes of Poli. It depicts the sea god Oceanus (Neptune), with horses, tritons, and shells. The water swirls around the figures and the artificial rocks, and collects in a large basin, always filled with coins. 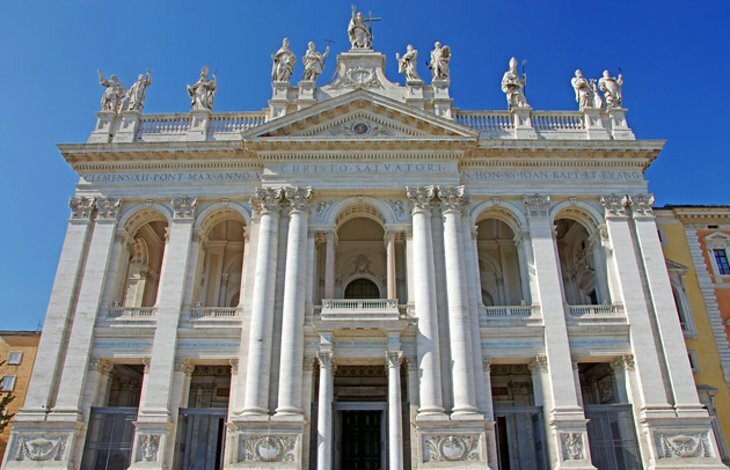 As you might expect for the episcopal church of the Pope, St. John Lateran is one of Rome’s most impressive churches. After centuries of alterations, it still retains its original form from the age of Constantine, when it was built. Its façade, by contrast, is a purely baroque embellishment and a fine example of that period. Along with the mosaics in the apse, be sure to notice the beautiful 16th-century wooden ceiling. If the octagonal baptistery, San Giovanni in Fonte, looks a bit familiar, it’s because it provided the model for later ones throughout Europe. Built by Constantine, it is the world’s oldest Christian baptistery. Across the piazza, in the church of the Scala Santa, is the Holy Staircase, 28 steps believed to have been brought to Rome in the fourth century by St. Helen, from Pilate’s palace in Jerusalem. Pause at the Spanish Steps, the flight of irregular stairs and landings that lead up to the French church of Trinità dei Monti. 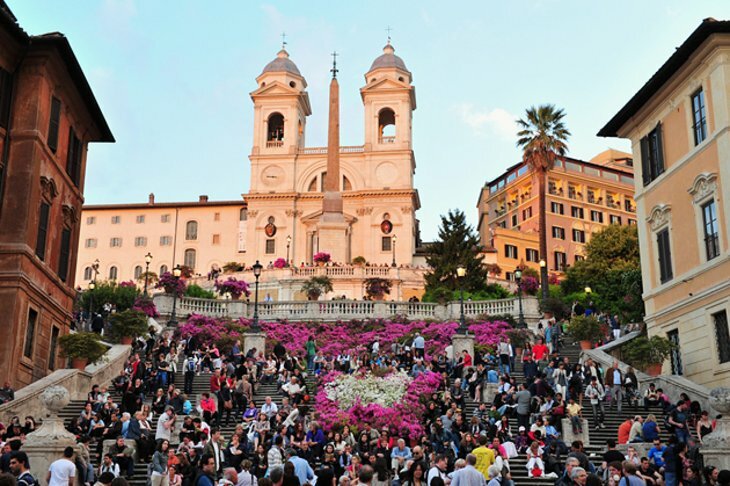 The stairs take their name from Piazza di Spagna, the plaza at their base and one of Rome’s most typical squares. The stairs have been a favorite haunt of tourists, where they can sit and enjoy a gelato in the summer or warm their hands around cones of hot roasted chestnuts in the winter. 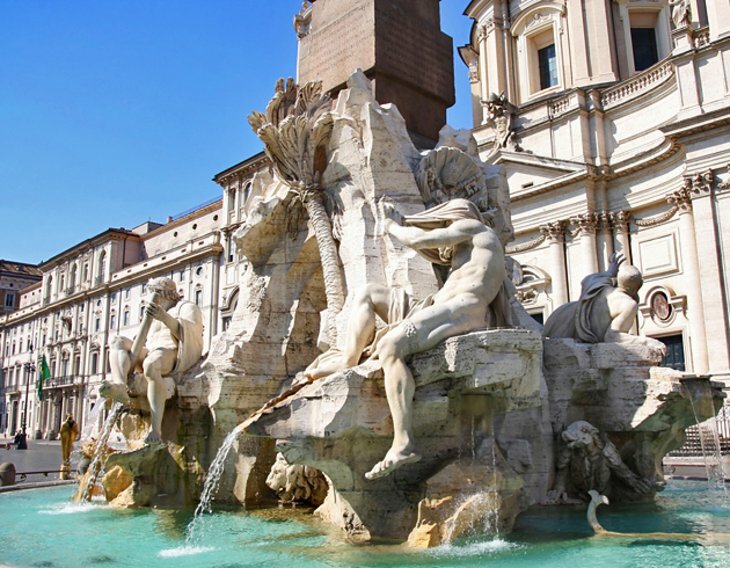 The boat-shaped fountain at the foot of the Spanish Steps is known as the Barcaccia and was created by Pietro Bernini, father of the great Baroque architect Gian Lorenzo Bernini. Via Condotti, leading southwest from Piazza di Spagna, is Rome’s most fashionable shopping street, where the Caffè Greco is famous for the artists, writers, and musicians who have frequented it. 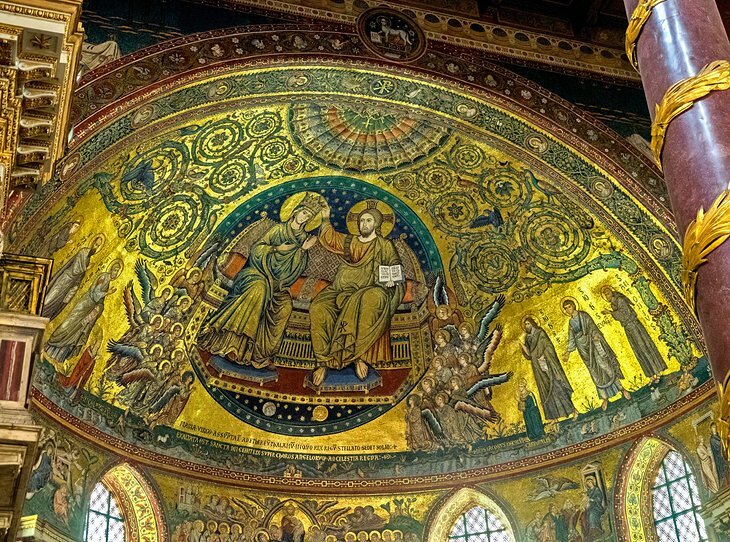 Rome’s oldest mosaics, as old as the fourth century, decorate the upper walls, and the floor is inlaid with colored stone in the style of the expert 12th-century artisans of the Lake Como region. 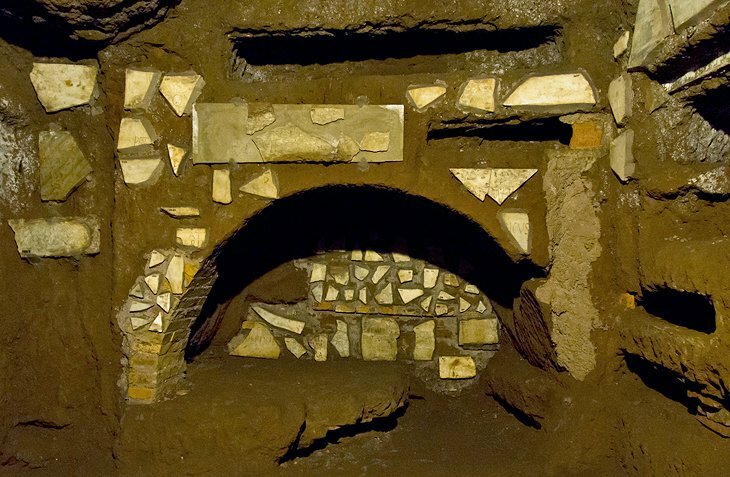 The first gold to reach Italy from the Americas shines on the coffered ceiling. Two popes are buried here; it’s one of Rome’s four papal basilicas, an important place of pilgrimage church. Although Borromini designed the square and its surrounding facades, it was his archrival, Bernini, who created its centerpiece, the beautiful Baroque fountain, Fontana dei Fiumi. The spirited fountain represents the four rivers then thought to be the largest on each of the known continents, with figures personifying the Nile, Ganges, Danube, and Rio de la Plata around the large basin, each accompanied by plants and animals of their respective regions. The two other fountains in the square are the 16th-century Fontana del Moro in front of the Palazzo Pamphili, erected by Giacomo della Porta, and the 19th-century Fontana del Nettuno with its figure of Neptune. Today, the square is filled with Romans, tourists, street artists, souvenir kiosks, cafés, and during December, one of Rome’s best Christmas markets. Nearby, between the Piazza and the Pantheon, the church of San Luigi dei Francesicontains three major paintings by Caravaggio from the late 16th century. 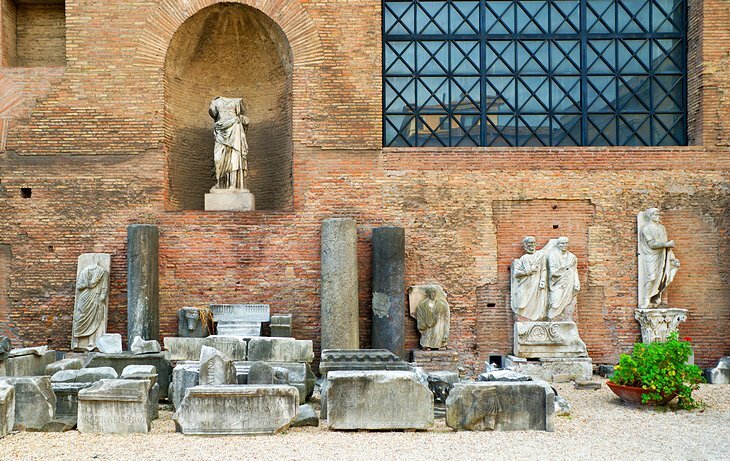 Strategically set 50 meters above the Tiber, the Palatine Hill shows evidence of Rome’s earliest settlement: rock-cuttings found in front of the Temple of Cybele show human activity as long ago as the ninth century BC. Later, this was the site chosen by the emperors and great aristocratic families for their palaces. The Farnese Gardenswere laid out on the hill in the 16th century for Cardinal Alessandro Farnese, a pleasure park of terraces, pavilions, lawns, flowerbeds, trees, and fountains designed as a kind of stage-setting for social gatherings. 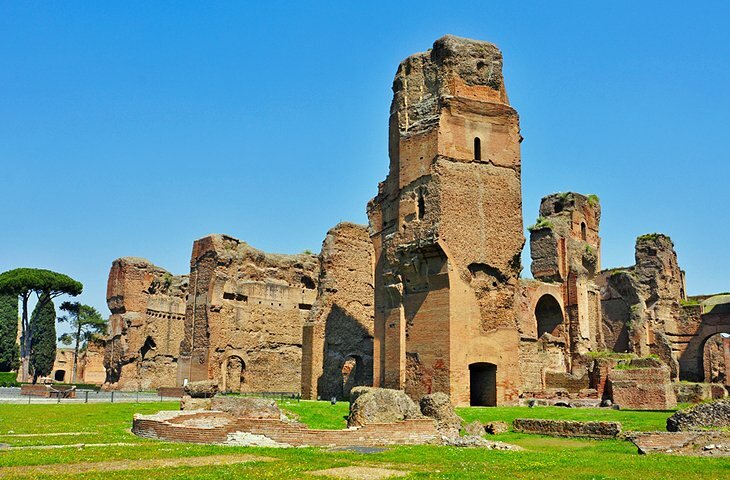 Highlights of the Palatine Hill are the House of Livia (Augustus’ wife), the semi-subterranean Cryptoporticus, Domus Flavia, Domus Augustana, and most imposing of all, the Baths of Septimius Severus. 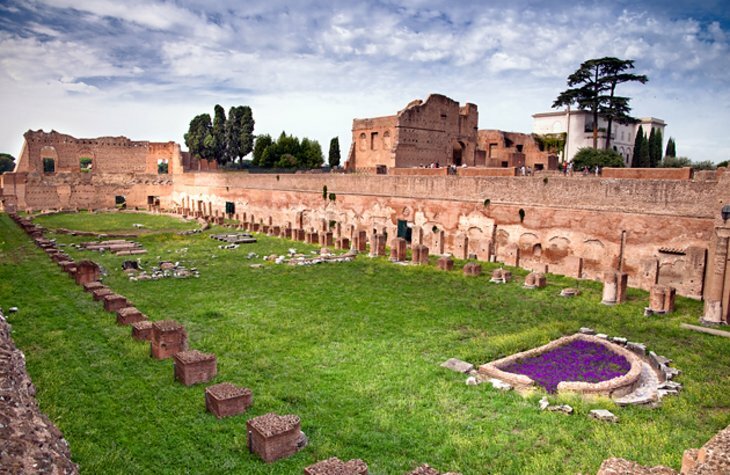 The Palatine Hill is a lovely place to explore, combining a park with magnificent and impressive ruins of ancient Rome. One of Rome’s largest parks, the Borghese Gardens contain a number of attractions that include two museums, the most prominent of which is the Villa Borghese. 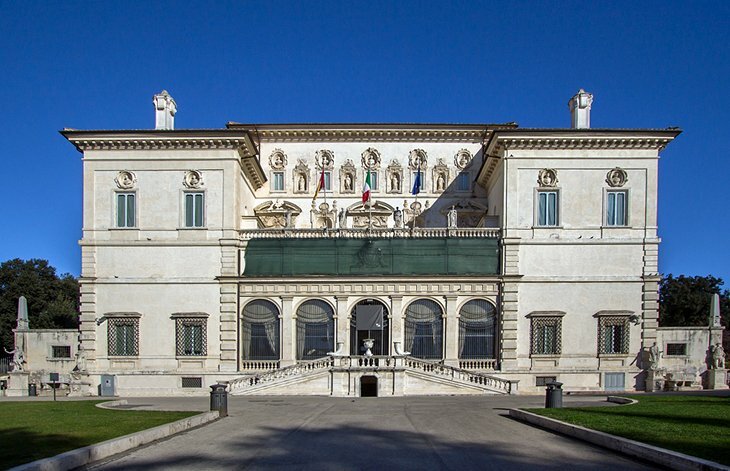 Built as a party villa and to house the Borghese art collection, the gallery contains paintings, sculptures, mosaics, and reliefs, most from the 15th to the 18th century, and include works by Raphael, Titian, Caravaggio, and Rubens. Elsewhere in the park, Villa Giulia was built as a summer residence for the 16th-century Pope Julius III and houses the Etruscan Museum. More villas are from the world exposition that was held in Rome in 1911. Luxury Hotels: Palazzo Manfredi – Relais & Chateaux is next to the Colosseum, and you can overlook it while enjoying breakfast in the rooftop restaurant. Boutique Hotel Campo de Fiori has a rooftop garden overlooking the colorful daily market in one of Rome’s most traditional neighborhoods, near the Pantheon and an easy walk from Palatine Hill and the Vatican. Two blocks from the Colosseum, Hotel Capo d’Africa is in a neighborhood filled with small restaurants. Mid-Range Hotels: Also in the pleasant neighborhood just behind the Colosseum, Hotel Romance has some rooms with garden views. In Monti, close to both the Colosseum and Forum, Hotel Fori Imperiali Cavalieri is surrounded by restaurants and shopping. Opposite the Opera House in Monti, iQ Hotel Romahas a covered rooftop terrace and modern décor. Budget Hotels: Amid restaurants and shops in Monti, between the Forum and opera house, Hotel De Monti and Hotel Artorius are not adjacent to any major attractions, but they lie within a 20 to 30-minute walk from the Forum, Colosseum, Trevi Fountain, Vittoriano, and museums. On the west bank of the Tiber, south of Vatican City, Trastevere is one of the city’s most colorful neighborhoods. Although Trastevere has several small B&Bs, Cassiodoro is one of its few hotels, surrounded by traditional restaurants and shops. Sightseeing Tours: For maximum flexibility while you’re seeing all the top attractions, sign up for the Rome Hop-On Hop-Off Sightseeing Tour on an open-air double-decker bus. Accompanied by audio commentary, this convenient ticket covers all the top sights, with eight different stops, and you can hop on and off at your favorite attractions. 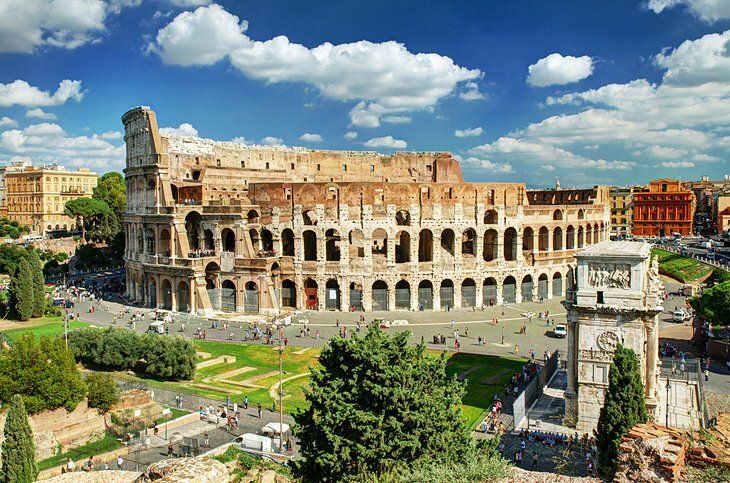 You can choose a tour that’s valid for either 24 or 48 hours and upgrade to packages that include time-saving skip-the-line admission to attractions like Palatine Hill, the Colosseum, and the Roman Forum. 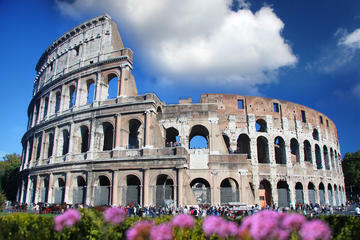 Another way to see the top sights without worrying about navigating your way around the city is on the Rome Segway Tour. Included in this three-hour excursion are a brief orientation session, helmets, wet weather jackets (if needed), and audio commentary. Meet your guide near Piazza Venezia and see the sights of Ancient Rome, including the Colosseum, the Roman Forum, and Circus Maximus, learning all about them as you zoom around the city. Gladiator Experience: If you’ve always wondered what it’s like to brandish a sword like Spartacus, consider signing up for the Roman Gladiator School: Learn How to Become a Gladiator experience on the Appian Way, near the Colosseum. This two-hour private lesson is suitable for anyone aged six years and older and includes entrance to the Gladiator School of Rome Museum as well as clothing and weapon hire. Day Trips: Organized tours are a great way to explore the attractions in the beautiful countryside around Rome. You can relax and let a professional guide do the work without the hassle of driving, finding your way, and parking. 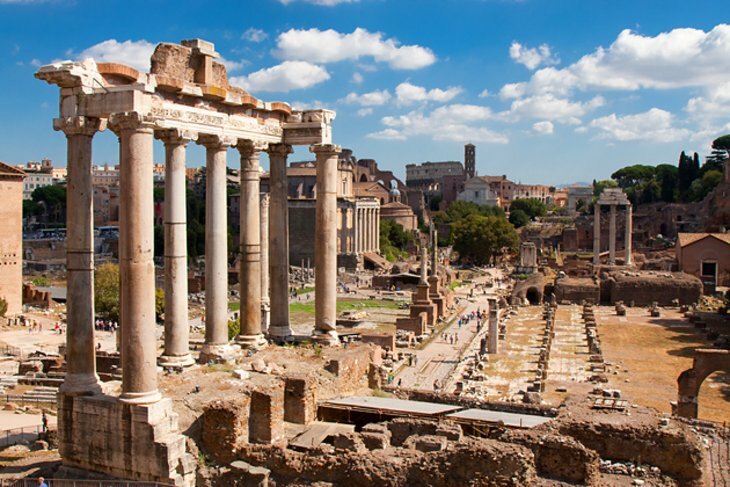 On the Tivoli Day Trips from Rome: Villa d’Este and Hadrian’s Villa tour, you can explore two World Heritage-listed historic villas, built as vacation homes for the Roman elite, as well as their gorgeous gardens. The tour includes transportation in a comfortable coach, villa admission, and headsets so you can easily hear the guide. Another popular excursion is the Pompeii Day Trip from Rome. On this full-day tour, you can hike to the crater of Mt. Vesuvius (in summer) or visit the National Archeological Museum of Pompeii (November 16 through March 31), as well as see the sights of Pompeii. Entrance fees and lunch are included. When you have seen the ancient sites, museums and palaces, Vatican City, and the churches of Rome, you’ll want to explore some of the city’s surroundings. The town of Tivoli lies 30 kilometers east of Rome, with Hadrian’s Villa and one of the most beautiful gardens in Italy. Just beyond is ancient Rome’s port of Ostia. Farther afield, some of the best places to visit in Italy are an easy distance for day trips from Rome. Vibrant Naples is just over an hour by train, and from here, it’s easy to get to both the ancient cities of Herculaneum and Pompeii, one of the top attractions in Italy. Sorrento, the beautiful Amalfi Coast, and the idyllic island of Capri are all close to Naples, as is the island of Ischia, where you’ll find some of the best beaches in Italy.